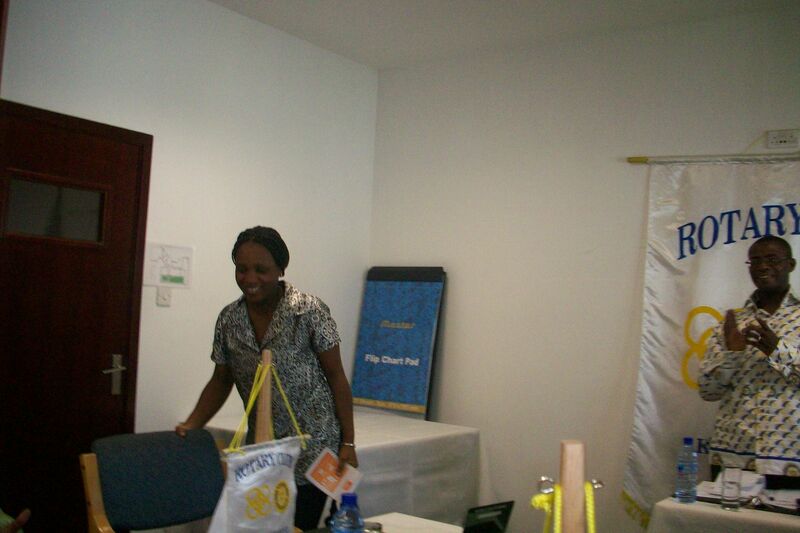 I am a Rotarian. At our meeting two weeks ago we had a guest speaker in the person of Mrs. Maud Gbeckor-Kove a Planning Engineer – Department of Urban Roads. There were also two pressmen, one from the Democrat and the Lens Newspapers. Nobody knew how they arrived at our meeting and we never found out. Mr Theodore Quaye, the K.M.A. Metro Roads Engineer, who was invited to give the talk, was unavailable. The topic was “Traffic Management and Road Safety.” The talk generated a lot of discussion from our spirited group, particularly on the subject of speed ramps. Rotarian Four Villages briefly related what happened on the Old Bekwai Road, now Melcom Road. 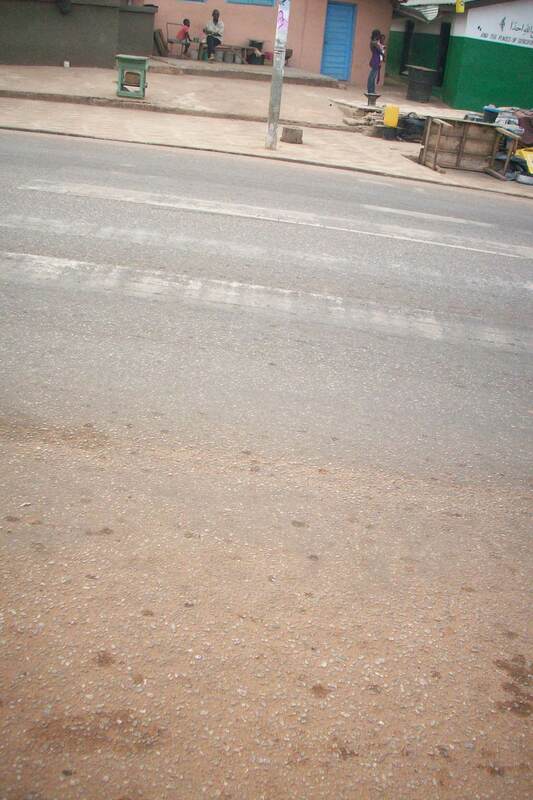 Twice Four Villages approached Urban Roads offering to pay for materials to build speed bumps on the hill from Daban. There was never a reply. Then a large school was built close by and the school contracted workers to create speed bumps over a weekend without authorization. 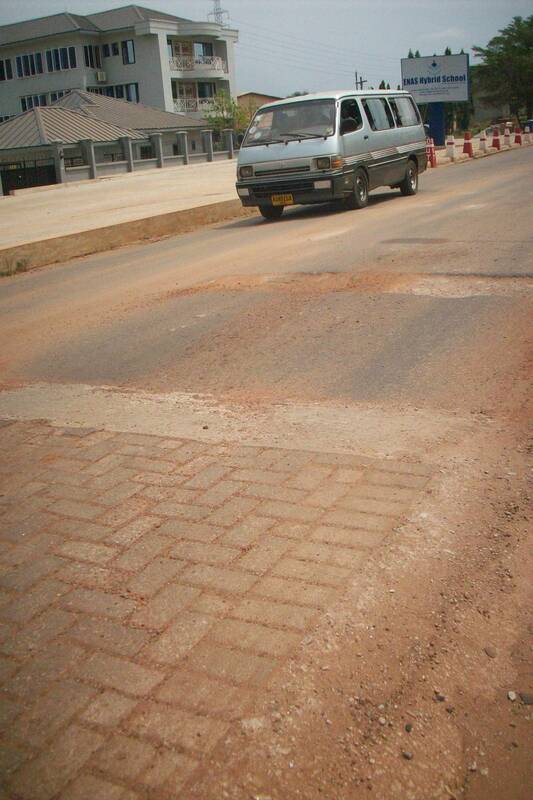 The Department Urban Roads intervened and stopped the construction, not before though the road was dug up. I saw Mr. Quaye the next week when he informed me that not all schools had speed bumps and no speed bumps were scheduled for the increasingly busy Melcom Road, a major artery into the heart of Kumasi. Less than a month later, two speed ramps were constructed by Urban Roads just before the entrance and exit to the school….The places where the road had been dug up were never entirely repaired. Looking directly at the two pressmen, Rotarian Four Villages said, “This is the story.” but they showed no interest whatsoever. Kumasi East Rotary Club still hopes that Mr. Quaye will come to address the club. But there was a positive outcome from the meeting……two of our members were at the gym and started talking about the presentation. Both remarked on the sorry state of the city pedestrian crossings. They came up with the idea that it could be a project for our club. The idea received unanimous approval from the membership. Rotarian Four Villages proposed a committee be formed to forward the idea and Rotarians Solo, Chair, and Rots. Richard and Kwame, both Road Contractors were delegated to get the project on the way. Stay tuned to the madinghana blog for the AFTER shot! TODAY AT OUR REGULAR WEEKLY KUMASI EAST ROTARY MEETING, MADINGHANA WILL BE THE GUEST SPEAKER ON THE TOPIC BLOGGING FOR LOCAL GOVERNANCE. All this week, I’ve been sending recent posts to generate interest…..here’s the covering letter for the Horace Lawrence: My hero and Man of Action post. In the post you will read, there is specific mention of a lost cause……well, Ghana will be a lost cause if we all don’t tell our stories of celebration and defeat. As a business, I believe FOUR VILLAGES INN has a social responsibility to tell its stories and those of its guests. This will help ensure that Ghana’s tourism industry will reach its potential, providing tax revenue for the state and jobs for its citizens. Without BETTER BUSINESS BUREAUS as watchdogs to expose unscrupulous operators, it must be the responsibility of the private sector to try to create some awareness.